Fig. 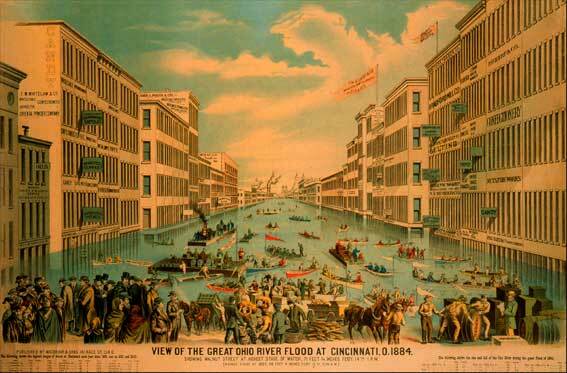 7.13 View of the Great Ohio River Flood at Cincinnati, O. 1884. 1884. Frame Opening: 24 x 34.5 in (61.0 x 87.6 cm). Cincinnati: MacBrair & Sons. Rare Books and Special Collections Department.